Hmmmm, what was that comment about quilts and cults??? Lucky you - they haven't arrived at my store yet! I've been shopping too! Your fabric is lovely! 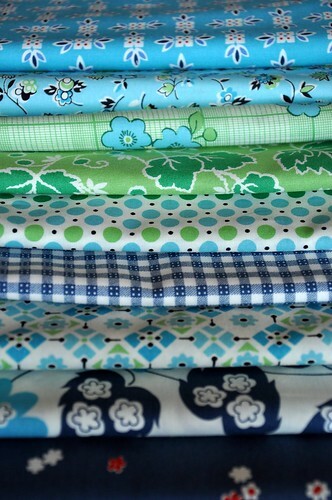 I'm still on my fabric diet but I bought 4 pirnts at Ballarat spotlight today. Worth the trip there! I hope you, your Dad and Jake are all recovering well. I did the same today! But just picked up the reds/pinks/mustards. Lovely! Can't wait to start cutting! Wahoo! Looks like you hit the jackpot - can't wait to see what these beauties will become. Love the fabric and the baby quilt. Glad you are back into the swing of things. 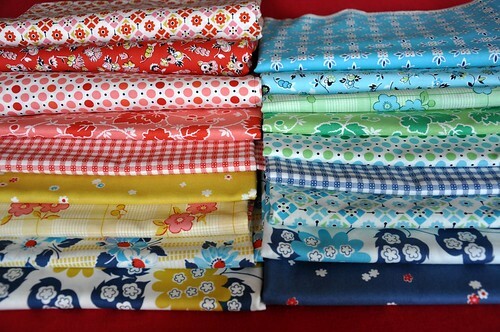 There's a half price sale at Patchwork House next week. Think I will check it out. They have some nice stuff. I'm glad I'm not the only one buying the whole range, feel better now! 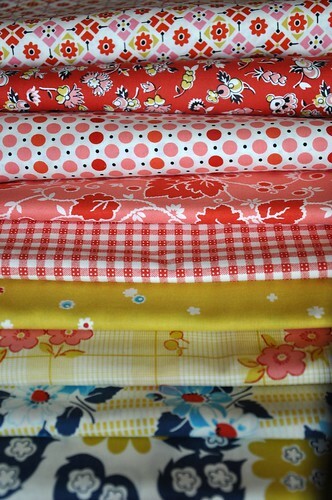 Still haven't worked out what I'm am going to make with mine, will probably just end up in the ever growing stash. I feel like a winner with my DS stash. Aren't we lucky! I bet there's some US girls that are a bit miffed we got some that they didn't!